Hectic work takes a toll on Alia Bhatt! Shooting round the clock for both Kalank and Brahmastra, an already injured Alia turns to a physiotherapist for help. Ranbir and Alia at a clinic in Juhu, Mumbai. 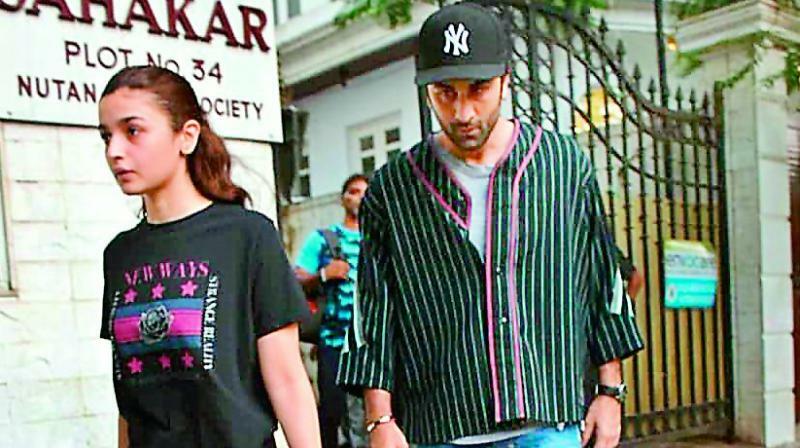 Ranbir Kapoor and Alia Bhatt were spotted together at a clinic together in Juhu, Mumbai, on Tuesday evening. The doctor in question is a physiotherapist called Dr Himakshi Basu, who is a specialist in sports injuries and has also treated people like Bipasha Basu and Hrithik Roshan earlier. Alia had suffered an injury while shooting for Brahmastra in Bulgaria and later hurt herself again during the filming of Kalank. The actress is doing a double shift at the moment, shooting for Kalank and Brahmastra. “While she shoots during the day for Kalank in Dahisar outside Mumbai city limits, she comes back into town to film Brahmastra. The shoots are also taking a toll on the injuries that she has suffered earlier,” informs our source. The feel-good factor was, however, Ranbir Kapoor accompanying the actress to the doctor. And being her Brahmastra co-star, he can also ensure that she does not exert herself while shooting.